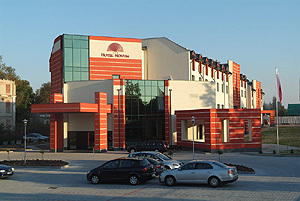 The hotel is situated close to the Salt mine in Wieliczka and Cracow city. Both are attractive tourist locations of the region beside the Royal castle in Niepolomice. The Novum Hotelcombines the features of the typical hotel, fitness center, and conference center. 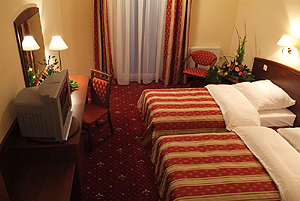 We offer comfortable rooms at reasonable rates. There are 44 cosy double rooms with bathrooms to our guests disposal. The rooms have internet access, telephone and TV Sat. Additionally, 7 studio type rooms are offered which combine the comfort of stay with the advantages of family home. The daily room, bedroom and bathroom found here allow the guests to feel like home when the stays are extended. All studio type rooms are fully air conditioned. 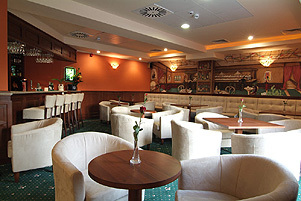 Our restaurant serves Polish and European dishes. We recommend our drink bar where one may spend time at ease. We organize conferences, trainings, business meetings in our 2 conference rooms of the areaÂ 185 i 137 m2 . We guarantee nice and professional service. 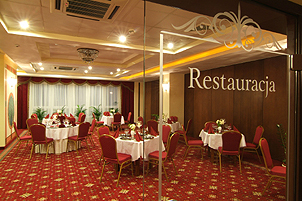 The hotel is situated 700 m away from the city center. The nearest railway station Krakow Glowny is situated 25 km away from the hotel. The airport is 30 km away.